62ND ANNUAL DPI/NGO CONFERENCE: "FOR PEACE AND DEVELOPMENT: DISARM NOW!" On August 6 and 9, the cities of Hiroshima and Nagasaki held Peace Memorial Ceremonies commemorating the 64th anniversary of the atomic bombing. Some 50,000 people attended the ceremony in Hiroshima's Peace Park, while about 6000 participated in the memorial held in Nagasaki, with dignitaries and representatives from Japan and countries around the world. Though the US did not send a representative, the mayors of both Hiroshima and Nagasaki referred to US President Obama's statement in Prague as a turning point in global efforts towards nuclear weapons abolition. Citing his words that "as the only nuclear power to have used a nuclear weapon, the United States has a moral responsibility to act," Mayor Akiba Tadatoshi of Hiroshima called "on the rest of the world to join forces with us to eliminate all nuclear weapons by 2020." Indeed, the Hiroshima Peace Declaration states, "nuclear weapons abolition is the will not only of the hibakusha but also of the vast majority of people and nations on this planet." More than 3,000 cities worldwide have joined Mayors for Peace's vision of a world without nuclear weapons by 2020. A number of high-level international initiatives, including Global Zero and the International Commission on Nuclear Non-Proliferation and Disarmament (ICNND) are also publicly advocating nuclear weapons disarmament. Akiba encouraged them to press for the 2020 deadline. Significantly, both Mayor Akiba Tadatoshi of Hiroshima and Mayor Taue Tomihisa of Nagasaki made explicit reference to Japan's Peace Constitution and the relevance of Article 9 in the global context. Pleading for nuclear weapons abolition, Akiba pointed that "[t]he essence of this idea [was] embodied in the Japanese Constitution, which is ever more highly esteemed around the world." For his part, Taue urged the Japanese government to abide by its peace constitution and take "a firm position on the Three Non-Nuclear Principles by enacting them into law and to create a Northeast Asian Nuclear Weapon-Free Zone, incorporating North Korea." Furthermore, he called on Japan to "globally disseminate the ideals of peace and renunciation of war [it] prescribe[s]". Both declarations made proposals for advancing the cause of total abolition of nuclear weapons. Mayor Taue advocated for a Nuclear Weapons Convention as well as a Northeast Asia Nuclear Weapon Free Zone; Mayor Akiba proposed the creation of a "Lower House" of the UN General Assembly made up of representatives of cities "that have suffered major tragedies due to war and other disasters" who would deliver the voices of the people directly into the UN. In a message addressed to the ceremony in Hiroshima, U.N. Secretary General Ban Ki Moon said that building a world without the threat of nuclear weapons was an achievable goal and called "on all humanity to ... do our part in this common journey." President of the U.N. General Assembly and priest from Nicaragua Miguel d'Escoto Brockmann attended the ceremony in person. "We cannot, have not, and will not succeed in eliminating the danger of nuclear weapons being used again, unless and until we have eliminated nuclear weapons from the face of the earth and until we have placed the capacity for making those weapons under reliable and lasting international control," he said, concluding that "we must resolve, here and now, to take convincing action to begin working toward the explicit goal of complete nuclear disarmament." Memorial services, peace actions and nuclear weapons abolition events took place all over the world on August 6 and 9, in remembrance of the victims of the attacks and in hope to create a world free of nuclear weapons. Read the 2009 Hiroshima Peace Declaration here. 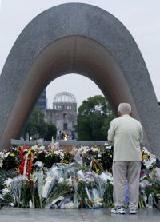 Read the 2009 Nagasaki Peace Declaration here. Visit Mayors for Peace's website here. UN Secretary General Ban Ki-Moon has been actively advocating for nuclear disarmament, raising the issue in many of his official remarks and functions. Seizing the momentum created by several new international initiatives, he proposed his own. In an address to the East-West Institute in October 2008, Ban unveiled a five-point proposal, which contains practical steps the international community can take to achieve a nuclear-weapon-free world. More recently, he reiterated his plan in an opinion piece published in the context of the anniversary of the bombings of Hiroshima and Nagasaki. This includes a call to all NPT Parties, and nuclear-weapon-states in particular, to fulfil their obligations under the treaty and pursue negotiations in good faith towards nuclear disarmament, either through a new Nuclear Weapons Convention such as the one submitted in 2007 at the UN, or through a series of credible and mutually reinforcing instruments putting in place a credible verification system. The UN Security Council should convene a summit on nuclear disarmament to consider ways of strengthening security as part of the disarmament process, by assuring non-nuclear-weapon states against the use or the threat of use of nuclear weapons. Multilateral treaties and conventions must govern the disarmament process, binding all states to universal legal obligations and setting up regional nuclear-weapon-free zones. Complete information and data about the arsenals, programs, activities and disarmament efforts undertaken by nuclear-weapon states must be made public. The United Nations Secretariat could be in charge of keeping an inventory of such information and bring more transparency about the total number of nuclear weapons existing worldwide. A nuclear-free-world cannot be created without eliminating other weapons of mass destruction, banning new missiles and space weapons and eliminating the trade and production of conventional arms. Disarmament is a comprehensive process. As part of this process, Ban Ki-Moon initiated a multimedia and interactive campaign called "WMD-WeMustDisarm". Launched on June 13, the WMD campaign kicked off exactly 100 days before the International Day of Peace that has taken place every year on 21 September since 1981. This year, the focus will be on nuclear disarmament and non-proliferation. The WMD campaign is using new media and social platforms such as Twitter, Facebook, MySpace, email, radio and video to raise awareness on the need to eliminate nuclear weapons and urge the world to disarm. Everyday, the campaign lists one reason why we must disarm. "We must disarm to save lives," said Ban in a video message for the WMD Campaign for a gathering on August 7 in Nagasaki. "We must disarm so that we can redirect precious resources to health, education and development." An event will be held in Tokyo on the theme of nuclear disarmament and non-proliferation, as part of the many celebrations of the International Day of Peace organized around the world by People Building Peace, a project of the Global Partnership for the Prevention of Armed Conflict of which Peace Boat is the Focal Point for Northeast Asia. This year's topic is a key priority for Northeast Asia, with Japan having experienced nuclear attacks and ongoing efforts to denuclearize the Korean Peninsula. The main element of the celebrations will be the premiere of a documentary filmed during the "Global Nuclear Voyage for a Nuclear-Free World: Peace Boat Hibakusha Project", in which 100 Hibakusha (atomic bomb survivors) traveled to over 20 countries throughout the world to share their testimonies and calls for a peaceful, nuclear-free world. Read Ban Ki-Moon's speech at the East-West Institute entitled "The United Nations and security in a nuclear-weapon-free world" (October 2008) here. Read Ban Ki-Moon's commentary: "My Plan to Drop the Bomb" (July 2009) here. Learn more about the International Day of Peace 2009 here. Follow the WMD-WeMustDisarm Campaign on Twitter, Facebook and MySpace. Go to People Building Peace's website to learn more about events around the world and share your activities here. See Peace Boat's website to learn more about events taking place in Japan and the Hibakusha Project here. The 62nd Annual DPI/NGO Conference will be held in Mexico City from 9-11 September 2009. This year's conference will bring together NGOs working in the fields of disarmament, human rights, health, education, poverty eradication, women and children's issues among other topics, to focus on the nexus between disarmament, peace and development. The objective is to highlight effective ways in which civil society, in partnership with the UN, governments and other actors, can contribute to the advancement of disarmament and peace, and thus promote sustainable development. Through roundtable panel discussions, break-out sessions, interactive dialogues, workshops, and other activities and special events, the Conference will allow participants to share information and experiences and further their activities for disarmament, peace and development. Seizing this valuable network-building opportunity, Global Article 9 Campaign's member, the International Peace Bureau, is organizing a workshop entitled "Warfare or Welfare: Whose Priorities? Campaigning Globally on Military Spending and Disarmament for Development". Co-sponsored by the Geneva-based NGO Committee for Disarmament, Pax Christi International, Peace Action and Peace Boat, the event will look at the discrepancy between the devastating impact of the economic crisis on the world's poorest and the massive amounts spent on world military expenditures. It will also offer a chance to propose new projects to make this issue more visible. Speakers include Frida Berrigan from the New America Foundation, USA, Binalakshmi Nepram from the Arms Control Foundation, India and Stellamaris Mulaeh from Counsel of the Youth of Religions by the Peace, Kenya. 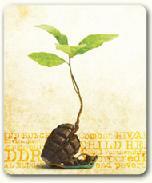 For more information and details about the 62nd Annual DPI/NGO Conference, please click here. For further details about IPB's workshop, please contact mailbox@ipb.org or see IPB's website here. TenThousandThings is a blog that focuses on the culture of peace. It grew out of the "Ten Thousand Things" webpage at the Kyoto Journal website and from the Global Article 9 Conference to Abolish War held in Tokyo in May 2008, where its contributors met. The blog covers peacebuilding, sustainability, social justice, creative expression, indigenous rights and historical healing in Asia (and everywhere). Its goal is to make visible and support the massive grassroots yearnings and actions for peace that Mairead Maguire (Nobel Peace Laureate, The Peace People, Northern Ireland) and Yoshioka Tatsuya (Peace Boat, Japan) spoke about at the May conference. Visit the TenThousandThings blog here. Also see the Kyoto Journal's website here.